Yesterday it hit me. Hard. I was editing pictures around mid-morning and had a hankering for my favorite drink… a Starbucks iced, non-fat vanilla latte with an extra shot (that’s right, a triple!). So I took a break and got into my car and drove to the nearest Starbucks to satisfy my craving. 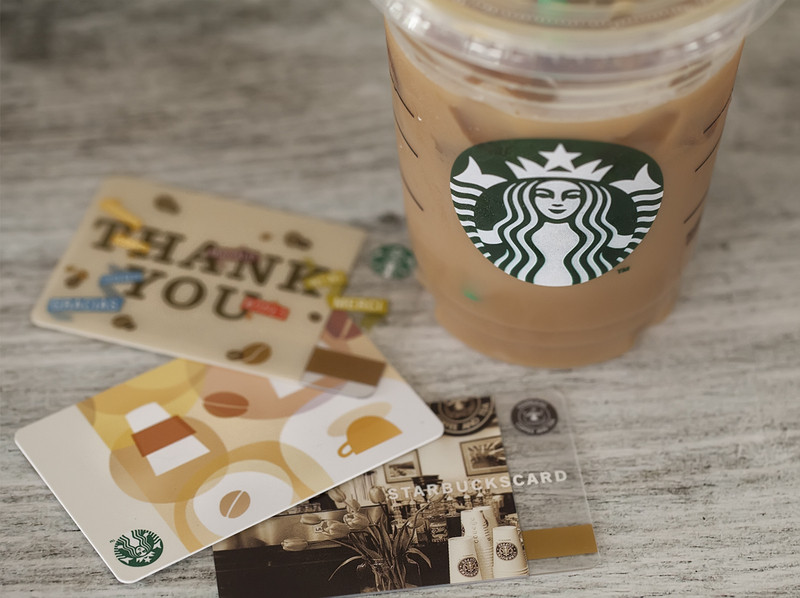 I always have several Starbucks gift cards in my wallet. I gave them one. It was almost empty, so I gave them another. There was only a few cents left on it. So I gave them my LAST card. It worked and has a meager balance of $3.85. That’s when it hit me. I will no longer be getting all those wonderful Starbucks cards from parents and teachers and students. I can’t remember the last time I actually had to pay for a drink. In fact, if I go with someone I usually buy theirs because I have so many. Not any more. I might have to learn how to make my drink at home. The last of my Starbucks cards. Oh yes, those wonderful children and parents! ha ha loved this post. Miss you Miss Judy, and Miss Jane, and Miss Judy, and Miss Marie, and Mr Ron, and Mr. Jerry and Mr Ray and Miss Jan,and Miss Susan, and Miss Karlene, and Miss Sandy, and Miss Vicki, and Miss Anna, and too many to go on. I will buy all of you a starbucks card if you come back….hugs….